Switching up your choice of facial cleanser is key to reduce sebum excess during the summer months. This summer, opt for a light cleansing water, like our Micellar Cleansing Water with Rose Petals as a makeup remover. It’s the perfect way to refresh the skin, leaving it purified without leaving any sticky residue. If your skin has a tendency to shine, especially on the forehead, nose and chin, look for a foam cleanser which will help to reduce sebum excess, or alternatively a gel-based exfoliating formula such as our Aquabella® Micro-Exfoliating Gel. It will not only help to remove excess sebum, but also help to buff away any dead skin cells to reveal a radiant, summer glow. If you prefer using a cleansing milk as a makeup remover, it is essential to finish off your cleansing routine with a toning lotion. Indeed, it's the only way to completely remove the traces of "cleansing milk mixed with makeup". This might be the skincare step you normally tend to skip; but in the summer it’s a must-do. Not only is toner amazing for refreshing your skin after a hot day, it also plays a huge role in keeping shininess at bay. For sensitive and/or dehydrated skin, try our Face Toner with Rose Petals which soothes the skin following makeup removal. For those struggling with higher levels of oil, try our toner for combination skin, Aquabella® Essence-Lotion which uses White Water Lily and natural-origin Hyaluronic Acid to tighten pores and refine skin texture. Do away with the rich night moisturiser; unless you have very dry skin, you’ll be unlikely to need it in the warm weather. Instead keep the skin hydrated with a light and non-greasy skincare. Our Aquabella® Moisturising Emulsion for combination skin is the perfect solution, using a formula which helps to hydrate dry areas whilst mattifying oily areas. It also uses a natural blur complex to smooth the skin; ideal for going makeup free on holiday. If the sun’s out, so are its harmful UVB and UVA rays which, as well as causing long-term skin damage, will also show themselves in unsightly sunburn. 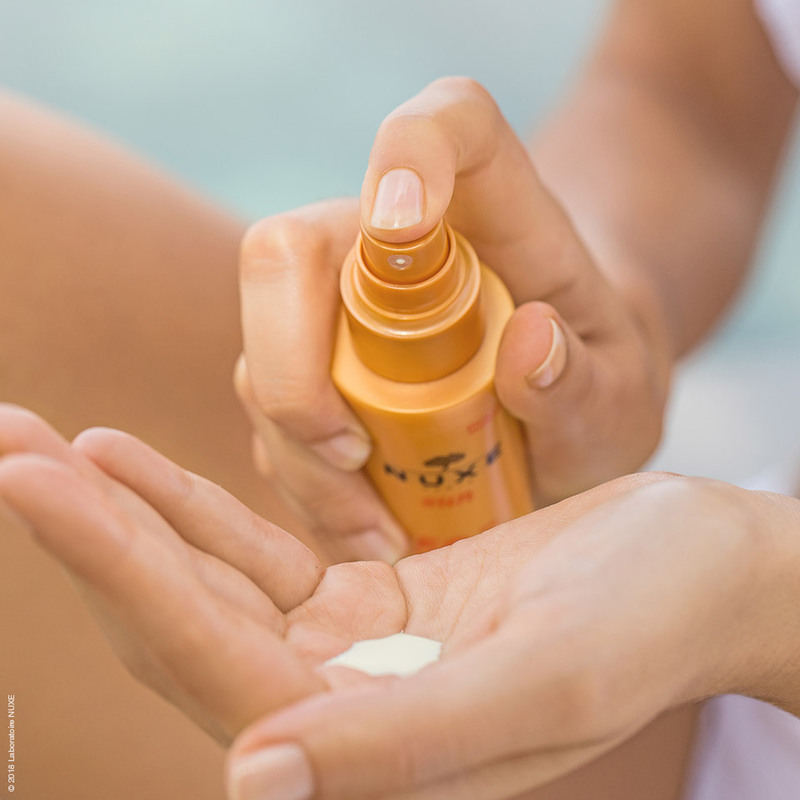 They’re all the more powerful during summer, so ensure you’re staying protected with daily use of a facial SPF care adapted to skinphototype and sun level. 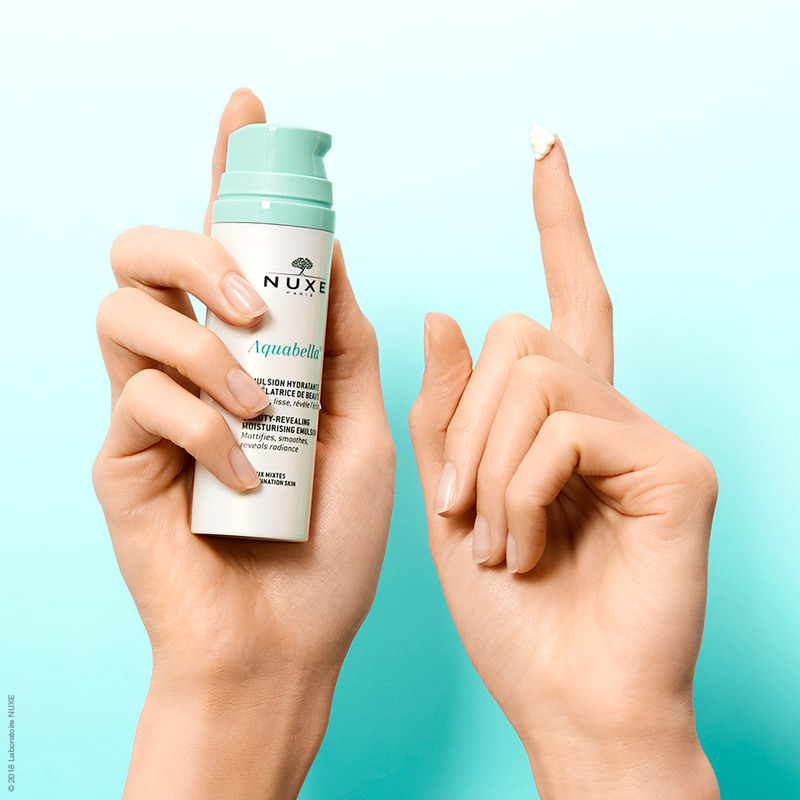 NUXE Sun facial SPF range uses powerful natural ingredients to help protect the skin from sun damage, keep the skin moisturised whilst also working to intensify your glowing tan. Use the after sun lotion to perfects your face and body skin and prolongs your tan by two weeks*. 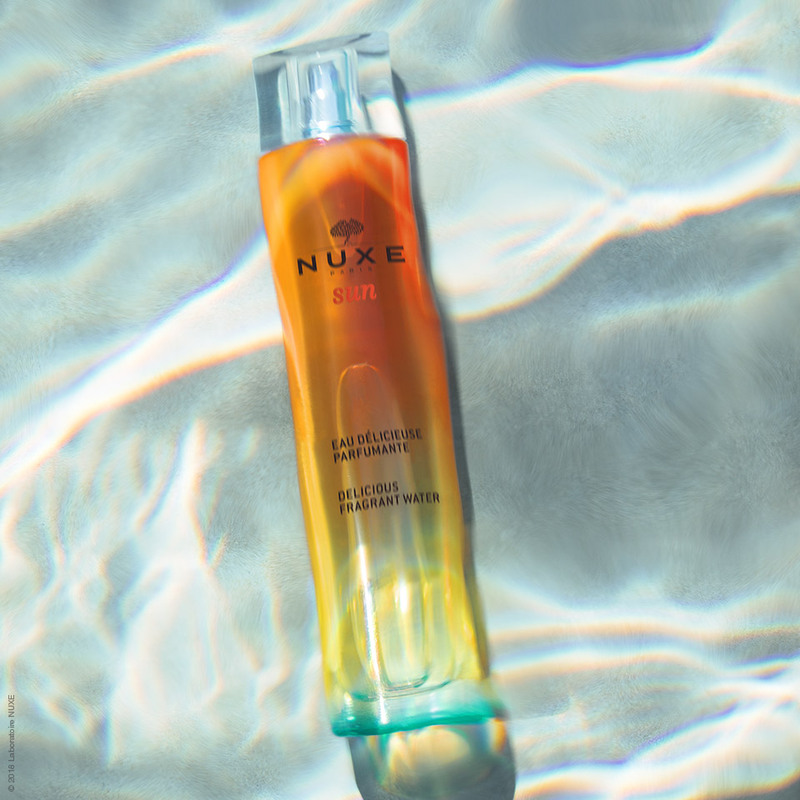 Top tip: add our some Nuxe Sun Delicious fragrant water to let your fragrance speak for your skin! If you want to find out how to stay protected this summer, have a look to our Sun Protection 101 article. * In vivo clinical test with 14 voluteers. Comparision against a control zone.